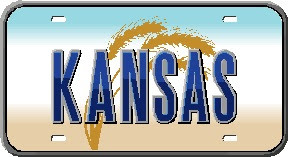 The Kansas Housing Resource Corporation, KHRC, is a state housing finance agency for Kansas. This agency delivers a variety of homebuyer assistance programs throughout the state. Kansas Housing Resource Corporation partners with private sector mortgage lenders who qualify borrowers and offer the program to eligible first-time homebuyers in the state. For a listing of KHRC lenders and loan officers visit the Kansas Housing Resource Corporation’s website. We offer local and national, non-profit and for-profit organizations to post their services with First Home Advisor. We review their organizations and vet the best we can but we not otherwise vouch for them. FirstHomeAdvisor.com has partnered with eHomeAmerica to offer an online homebuyer education course that you can take from the convenience of your own home computer for a modest fee of $99.00. You can get your Certificate of Completion today after completing the eight-hour course. The Corporation for Enterprise Development (CFED) maintains a national Individual Development Account Directory where you can search for a local IDA or Matched Savings program near you. Search for a local home inspector on the American Society of Home Inspectors (ASHI) website. Some cities and counties in your state may offer first-time homebuyers the Mortgage Credit Certificate (MCC) which is a federal tax credit program for first-time homebuyers. Ask your local homebuyer education and counseling agency if it is available in your area. FirstHomeAdvisor.com ® is an equal opportunity housing provider for first-time buyers. FirstHomeAdvisor ® is an equal opportunity housing provider for first-time buyers.